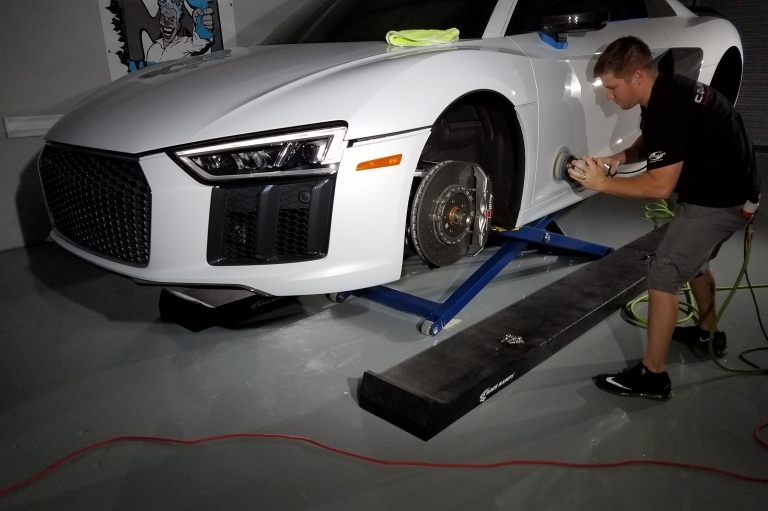 Utilizing the best products on the market and the most innovative techniques, we are able to perform a variety of paint correction services. From a Single-Stage Polish to remove oxidation and rejuvenate clear coat to a Full Paint Correction that will remove defects (including scratches, swirls, and wash induced marring) and restore depth and clarity. We strive to provide each of our clients with the finish they desire. See ceramic coating option below for added protection. C.Quartz FINEST Reserve is the most exclusive hydrophobic ceramic coating on the market. 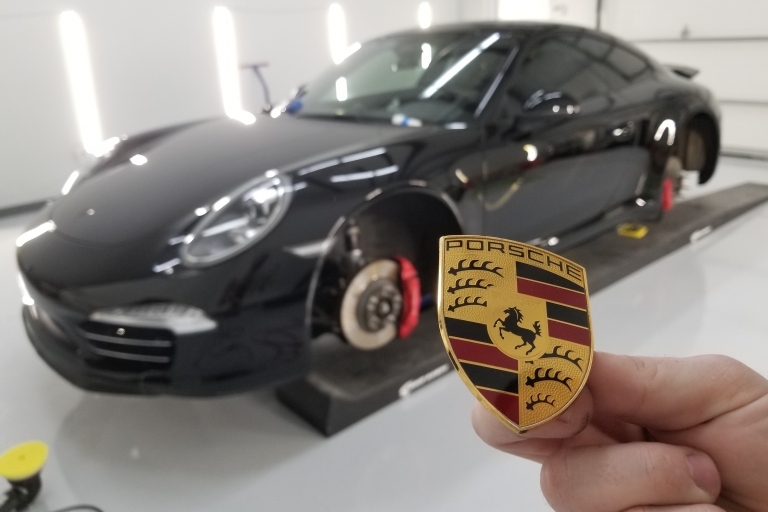 Once applied, the coating forms a semi-permanent high gloss "glass" layer over your existing clear coat; resistant to dirt, brake dust, bugs, and other environmental contaminates for a minimum of three years when properly maintained. Requires a Full Paint Correction before coating can be applied. One-time application fee is in addition to any prep package performed. Includes a 3 Year Limited Warranty. 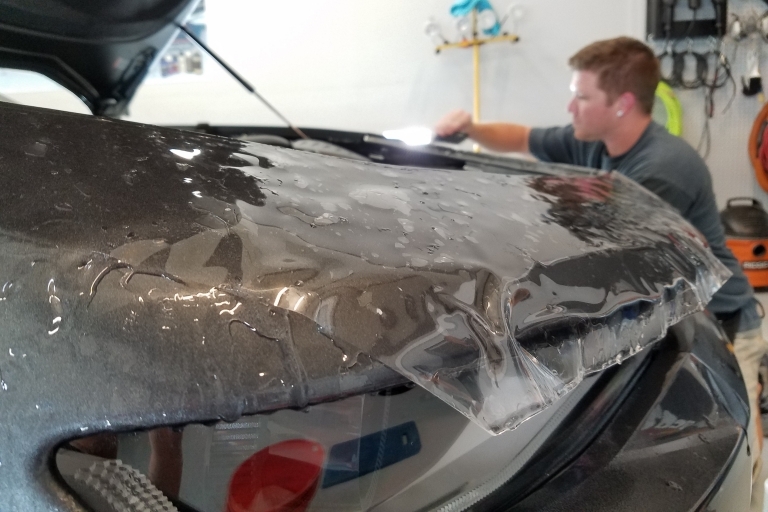 Paint protection films are clear, nearly invisible films that are applied to vehicles to protect them from scratches, pitting, or swirls caused by road debris, rocks, bugs, bird droppings, and other environmental elements. Scuffs and light scratches in the surface of the film disappear within minutes in the heat of the sun--leaving your car pristine and the protective film like new. PPF also comes with a full 10-year factory warranty against yellowing, discoloration, peeling, cracking and hazing. 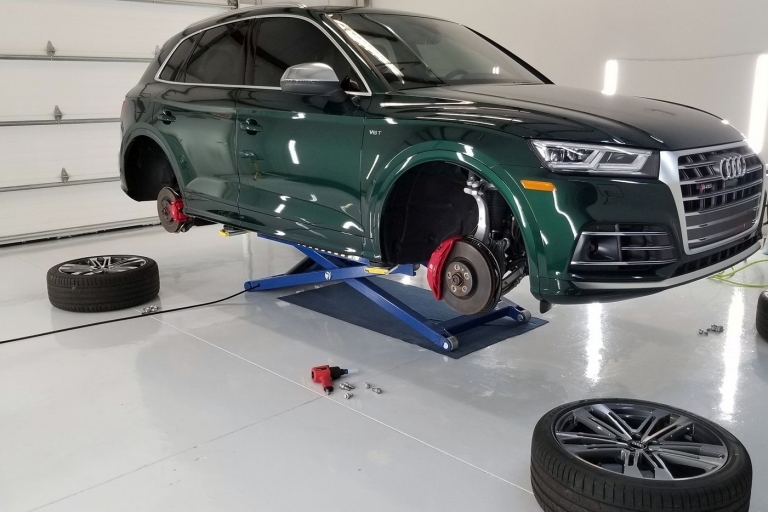 Wheels are removed from the vehicle and thoroughly cleaned using an acid and phosphate free cleaner that easily removes baked on brake dust and is safe for aluminum, chrome, powder coated and clear coated wheel finishes. Wheel wells are cleaned and protected. Calipers are steam cleaned and polished. Wheel faces, inner barrels and calipers are then coated with C.Quartz ceramic coating to reduce brake dust build up and allow for easier maintenance. Carnauba is the world's hardest, purest, most transparent and also most expensive natural wax. The level of shine increases with the percentage of carnauba used in the wax formulation. While conventional car waxes have a carnauba content of between 3 and 5%, Swissvax formulations contain between 30 and 76% by volume (one of the highest concentrations available on the market) and are enriched with passion fruit, orange, avocado and vanilla oils, which restore a deep shine to the paintwork. The result is a deeper, unique "wet look" that so appeals to collectors and car enthusiasts the world over.